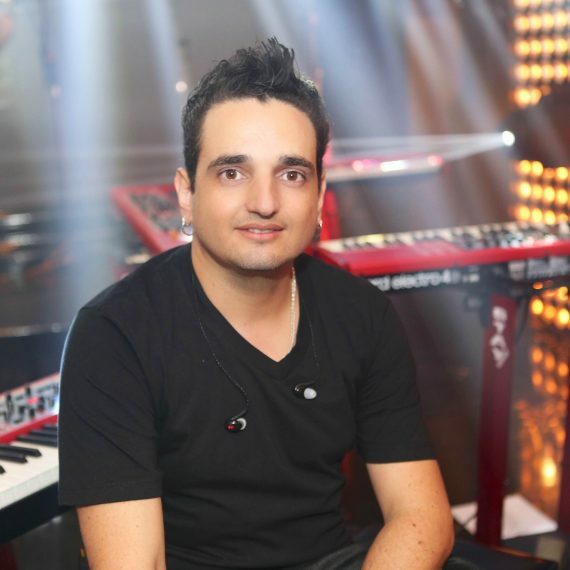 Gilmar Moraes is from Rio de Janeiro, he is 30 years old and works in the popular music and gospel with great names. His first contact with the instrument was through his friend and first teacher Sirlei Faria who helped him in his first steps in the instrument and later was self-taught. At the age of 14, Gilmar had two great teachers: Elber Lourenço and Fabianno Nascimento, who introduced him to the professional music market. Due to his rapid development and growth as a musician, Gilmar began acting as “sub” of his teacher Fabianno in some works. Since then he has never stopped, and began to stand out on stage and studios wherever he went. In 2004, Gilmar joined the “Anointing God of God” Group. Between 2005 and 2008 he joined the singer Cassiane (who is considered one of the greatest singers in the gospel scene). Between 2008 and 2001 he accompanies the singer Davi Sacer, traveling in Brazil and abroad, having also recorded the cd Confio em Ti, by the singer. Also in 2011, she joined the gospel singer Bruna Karla, with whom she played until 2013. Already in 2014 Gilmar begins to play with the band D’Funk in Samba (Thiago Thomé and Vitor Art). In 2015 he was part of the ‘Samba in Rio’ Festival, where he accompanied: Ana Carolina, Arlindo Cruz, Umbrinha, Almir Guineto and Beth Carvalho. At the end of 2014 he joins the band of singer Arlindo Cruz whom he accompanied until 2016. In addition to the names we mentioned previously, Gilmar has already divided the stages and studios with great names of our music, such as: Xande de Pilares, Thiago Abravanel, Naldo Benny, Jesuton, Sandra de Sá, Rodrigo Lampreia, Danni Carlos, “Bringing the Ark” , Luiz Arcanjo, David Cerqueira, Thiago Thomé, Rose Nascimento, Eyshila, Cristina Mel, Waguinho, Elaine Martins, Café with Jazz, Geraldo Guimarães, William Nascimento, Daniele Cristina, Jota A, Nani Azevedo, Marcos Kinder, Funk Samba Club, among others. Born in Rio de Janeiro, he began musically at age 10 when he had his first keyboard lessons. At age 14, he began his studies of piano and drums, but in several instruments like: guitar, guitar, bass guitar, cavaquinho, banjo, accordion and general percursão was developed like autodidata. In 1993 he began his artistic career playing in bands of different styles, churches, dances and night clubs, in the provision of services for studios and singers. Fabrice Bizoni is an active producer, constantly working in the fields of recording, musical production, arranging, coordination and division of voices for choirs, musical transcription, musical revision, publicity and jingles. In addition to providing scores for records. Banda Vitória Régia, Orquestra Rio Jazz, Music Director of the artist Gustavo Lins, singer Netinho (baiano), musical director of the band Rio and band Salvador, Tentasamba group, Rick Vallen and currently musical director of the artist Dilsinho. 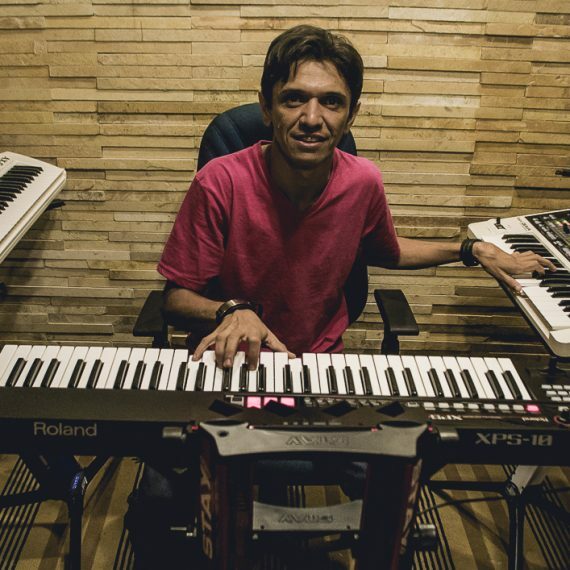 Wagner Bezerra, better known as Bobinho, is from Ceará-Mirim (RN), is a keyboardist, arranger and music producer. He began to have contact with music in childhood and to the 14 years began his artistic trajectory in local bands. He developed and improved his knowledge in music inspired by great pianists like Chick Correa, Michel Camilo, Michel Petrucciani and Hermeto Pascoal. His development, learning and talent led him to work with several renowned artists. Participated in recordings with Wesley Safadão, Aviões do Forró, Sula Miranda, among others. He worked playing and producing João Bandeira and João Bandeira Júnior, Singles of Forró, Charlys da Rocinha, Vicente Nery and Felipão. Currently plays and does the musical production of singer Solange Almeida and Big Band S.A.
Hiury Silva Neto, born in the city of Goiânia, began playing the keyboard at the church at the age of 12 and soon after, at age 14, began working with several singers from Goiás, doing various shows throughout the country. He also recorded the DVD of Cantor Ryan Barreto in 2015, in the city of Goiânia. In 2016 he began working with the duo Maycow and Bruno, double composer of several hits in the country and currently on the record company Som Livre. He then began working with the singer Felipe Araújo, with whom he did several shows, among them the release of the singer’s DVD. Currently Hiury Silva works with the Simone and Simaria duo, accompanying the artists in Brazil and abroad. With the pair, the musician recently participated in a tour in the United States. 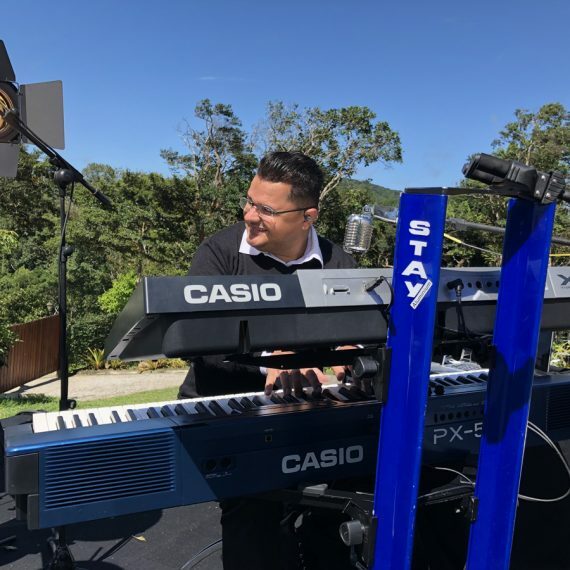 Hiury Silva is a partner of Casio Brasil and Stay Music. 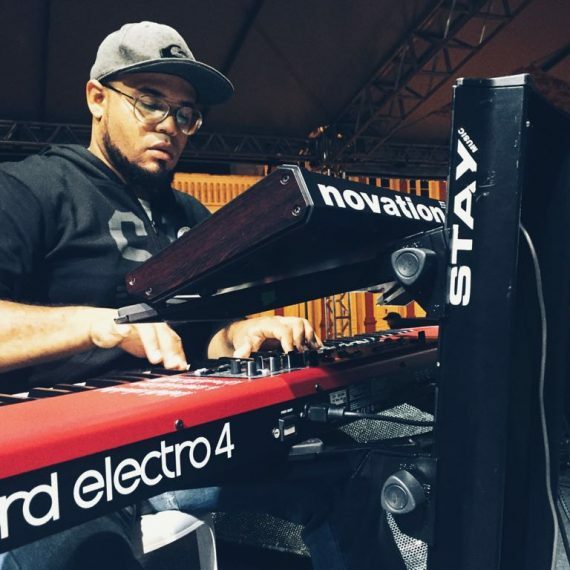 A professional keyboard player since he was 21 years old, he started playing at the age of 14 in a small Baptist church in the Morro Grande neighborhood north of São Paulo. Self-taught developed a method of playing through mathematical formulas where he assigned the number of notes to form chords, harmonic field, scales and a way to understand each song. After 7 years playing in the church he had the first one counted on professional musicians who taught him a lot, musicians like Felipe Maia pianist of Marina Dela Riva, Sambasonics, Rudy Landucci, etc. He has also worked in studios such as MIDI OUT, Praise, Village of Music until he founded his own homestudio Lion Studios. Already professional but still dividing his life between a conventional work and the music, Daniel Baaran decides to work in one of the biggest stores of the musical follow-up of the country Reference Music, located in the street Teodoro Sampaio, known as “Street of the musicians”. 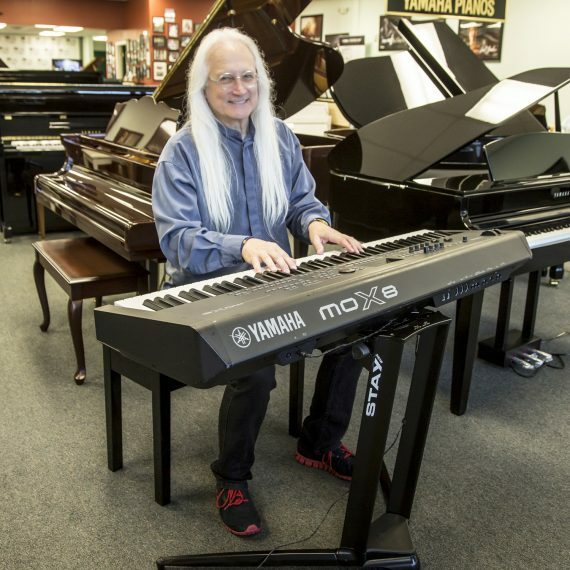 As the competition was very large and sometimes disloyal, Daniel Baaran had to innovate to stand out in the midst of so many shops, he studied every keyboard he sold and offered a course for his customers after the purchase so that the customer enjoyed all the features of the instrument you purchased. This was the start of Daniel Baaran as a product specialist. Three years later more than 3,000 people were served and more than 2,200 completed sales, more than 2 million reais in sales and its established name in the market. As consultancies were made through social networks every day more people were looking for help, today more than 4200 keyboards are present in FaceBook. As the questions were very similar Daniel created the project Keyboard Center a site that brings together the main questions related to keyboard subjects. 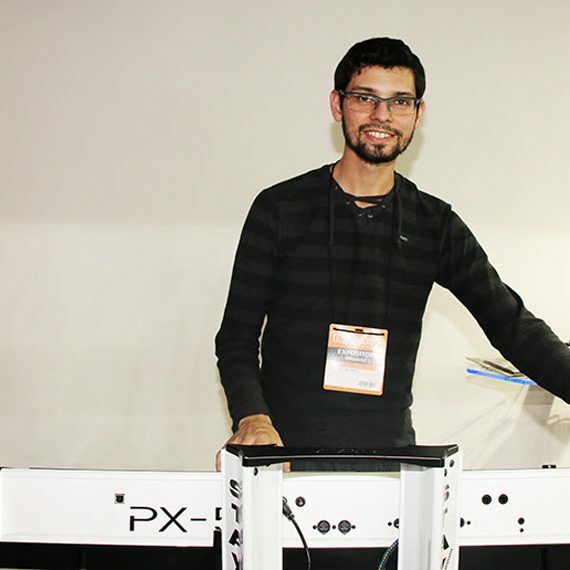 After passing through the retailer he was invited to work at Roland Brasil as a product specialist, it was a time of great learning. He traveled throughout Brazil giving workshops, lectures and performing in shops, fairs and events. Two years went by and the time at Roland Brasil was over. He made a quick stop at MusicDot, the best online teaching platform in Brazil, coordinated by professor Pedro Lopes. He participated in several works with artists such as Drums of Christ, Exaltai, Thaeme Marioto, Rudy Landucci and Banda Manah. 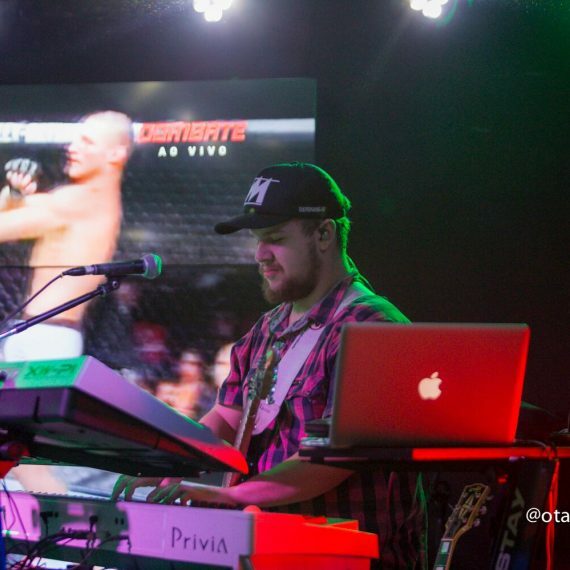 Today he works with Marcio Buzelin as a technician on the Jota Quest Band, he works on timbre and programming, acting as a roadie traveling all over Brazil along with one of the biggest national POP bands. 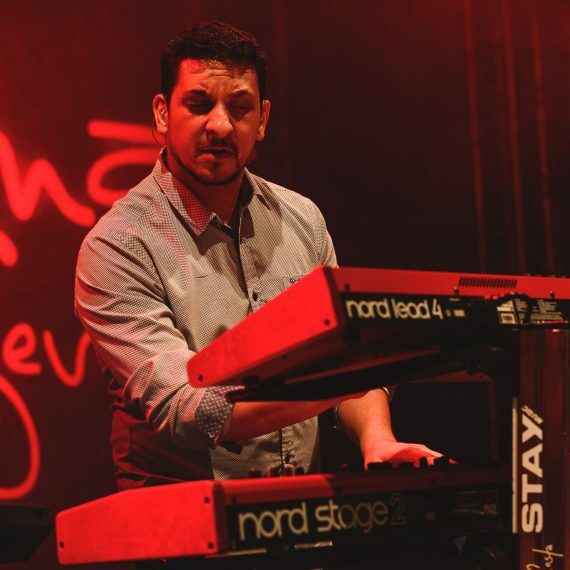 In addition to being a technician for Marcio Buzelin’s keyboards, Daniel Baaran acts as a “SUB” or substitute for it. He has been performing Marta several times with Jota Quest. Passionate about the shelves Stay from the beginning already had the first model bought with a lot of sweat. From there to here were dozens of shelves, as a seller also has the honor to say that it was a great diffuser of culture stay in the market. Today every SETup he uses is on top of some STAY model. Eric Nycolas Belotti Saraiva, multi-instrumentalist musician, producer and musical director, representative of the third generation of musicians of the Saraiva family in São Paulo. From a mixture of influences and musical genres were solidified his roots coming from the family and some masters of the music Erudita and Popular. His grandfather was a string musician in the “Casinos and Radios Age of the 50s.” After the “Jazz Era and Big Bands” he acted as instrumentalist (trombonist) and regimentalist in international orchestras (Nat King Cole, Perez Prado, Neil Sedaka, etc.). Her father Maestro Hermes Saraiva, owner of the company Nautilus Shows & Events (Nautiluss Band, Vivaldi String Quartet, Genesis Coral and Orchestra). His erudite influences: Bach, Mozart, Debussy, among others. Her influences popular: Chick Corea, Herbie Hancock, Bill Evans, Oscar Peterson, Frank Gambale, Van Halen, Michael Jackson, Quincy Jones, Cesar Camargo Mariano, Daniel Silveira. The academic formation of Eric Nycolas, is given from private teachers with emphasis on classical music and completed with a bachelor’s degree in piano (Mozarteum Faculty of São Paulo). 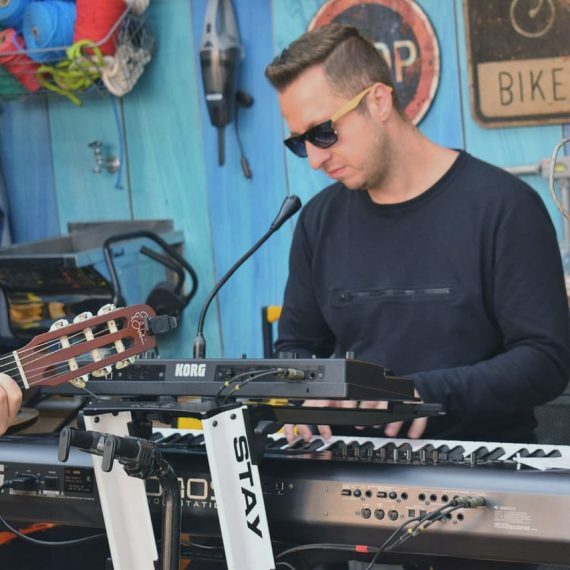 At 7 years of age, he started major productions in the dance band as a second keyboardist and guitarist, working professionally at age 16, already taking responsibility for the musical direction as well as main keyboard player. In parallel, he has produced several artists from other segments such as university sertanejo, pop rock, axé, forró (Edu Kumamoto, Viviane Saraiva, Os Mirandas, Lunna, Axé Movement, Swingado, Balança Menina). He has worked as a musician in projects and recordings with national and international artists: Paul Pesco, Agnaldo Rayol, Ricky Valen, Fafá de Belém, Reinaldo Viana, Liriel, Banda Os Vagabundos, etc. In January 2017 he signed a contract with CASIO and joined the cast of artists from Casio Teclados. 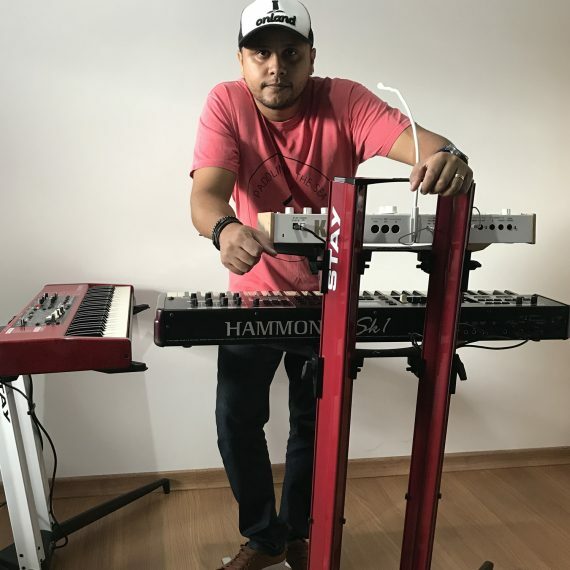 He currently diversifies his functions to the maximum, being keyboardist, guitarist, director and musical producer of the bands: “Mirandas”, “Banda Nautiluss”, “Edu Kumamoto” and also in parallel projects as multi-instrumentalist musician, music producer and arranger. “Stay is already in my family for two generations, always present with me on stage, tough, very light, very practical, very beautiful, is a highlight in the setup wherever I go, not to mention the safety and cost-benefit killer of a product 100 % National, to be part of the team Stay Music artists is a great honor! “. 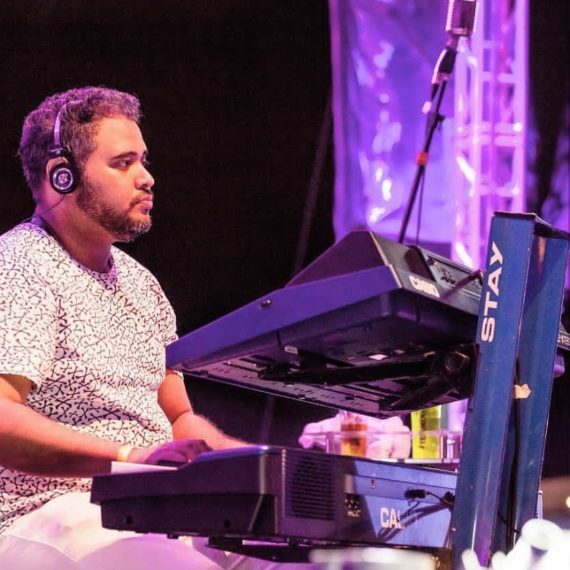 Born in Fortaleza – Ceará – Brazil, José Carlos Feitosa is affectionately known as “Carlinhos Fofão”, being a keyboard player and music producer in the northeastern music scene. He won his first instrument through his mother, beginning his musical studies at the age of 10 with piano teacher Lizita Nogueira and with maestro Marcus Rogzillo, currently music professor at UECE (State University of Ceará), being influenced by his roots relatives of great musicians from the interior of Ceará. At age 12 he formed his first band with friends of the college and made his first public presentation. Until then it passed through several bands of the northeastern scenery. 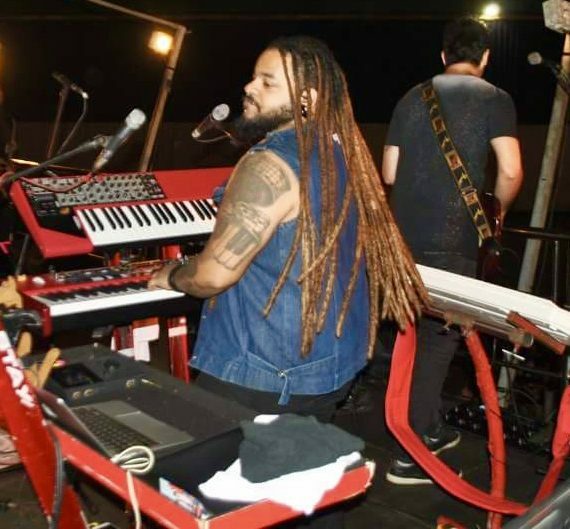 In the year of 2013 playing in the band Forró do Muído, he looked for a way to spread the instrument friends, and felt that somehow he could and should do something to help other keyboardists. Taking this responsibility for you, the idea came up to create the Instagram @toptecladistas, where it divulges stories about other keyboardists in Brazil, humor posts involving the world of the keys and advertisements of the partner pages and their sponsors. Nowadays Instagram @TopTecladistas has more than 4,000 followers and the page on Facebook already exceeds 11 thousand tanned. Still in the year of 2013, he joined the Band Aviões do Forró (@officalavioes), taking on the responsibility of playing in the biggest forró band in Brazil, doing shows in all Brazilian states and neighboring countries. With the Aviões do Forró group, he recorded 3 promotional DVDs, one of which was broadcast live on Canal Multishow to a public of 50,000 people. In March of 2015 Carlinhos left the group Aviões do Forró and joined the band of the singer MÁRCIA FELLIPE. On October 11, 2015, playing with Márcia Fellipe (@ marciafellipe), Carlinhos Fofão recorded the artist’s first official DVD for a public of 10,000 people in a paradisiacal setting in Aracajú – Sergipe – Brazil, a place where days later (15 October) would meet his wife Marjory Yasmin. In November 2016, Carlinhos Fofão signed a contract with CASIO and joined the casting of artists at Casio Teclados, and once again the idealistic side spoke out when they felt the need to create a channel where customers and Endorsees of the brand could be known and to be released, it was born the @casioclubbrasil, and until then it has been a growing channel, being recognized even by Casio Keyboards itself. @CasioClubBrasil today has about 500 followers. In December 2016 in partnership with Casio Teclados and Stay Music together with @TOPTECLADISTAS held a Christmas draw where the winner would receive a kit with gifts STAY MUSIC, a sustain pedal from CASIO KEYBOARDS and an official T-shirt from TOPTECLADISTAS, and how could it be otherwise, the response from the public was immediate, serving as experience and opening doors to new ideas related to marketing. 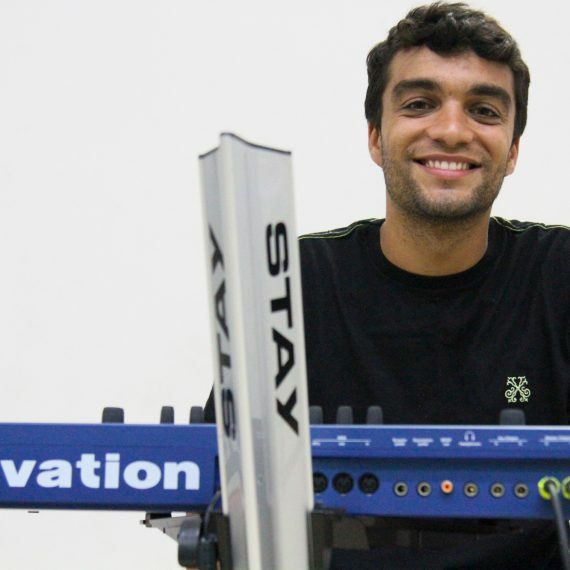 In February 2017, Carlinhos Fofão signed a contract with STAY MUSIC (@stay_music), the largest manufacturer of keyboards in Latin America. On April 30, 2017 Carlinhos Fofão recorded the second DVD with the artist Márcia Fellipe for an audience of 50 thousand people in Recife – Pernambuco-Brazil, leaving with the label of the Universal Music label. In August 2017, Carlinhos Fofão signed a contract with MOGAMI BRASIL (@ mogamibrasil), a Brazilian representative of MOGAMI CABLE, a Japanese company considered one of the largest and most important brands of high performance cable in the world. In October 2017, Carlinhos Fofão created the Instagram @FeiraDasTeclas, where musicians advertise their products for free in search of buyers, as well as announcements of the partner brands. Currently @FeiraDasTeclas has almost a thousand followers. In January 2018, Carlinhos Fofão signed a contract with ZAKON AUDIO (@ zakonaudio), a Brazilian company specialized in the manufacture of Cases and Bag’s sib measured for the transportation of equipment and musical instruments. Still in January 2018 Carlinhos Fofão gathered his sponsors in a carnival draw held on his Instagram. The winner took a kit containing backpack, T-shirts, cables and accessories. 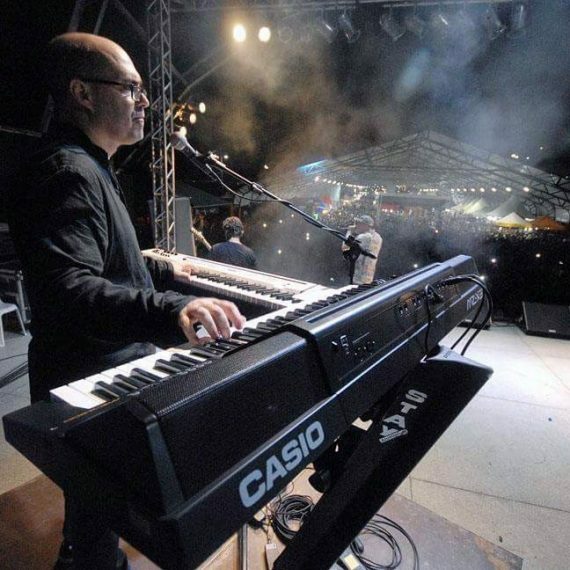 Currently Carlinhos Fofão is a keyboardist for the singer Márcia Fellipe, an artist of great national recognition, a public record in his tours throughout Brazil. With the artist she recorded 2 official DVDs and prepares for the third. In studio, he participated as keyboardist of albums of national and regional singers. 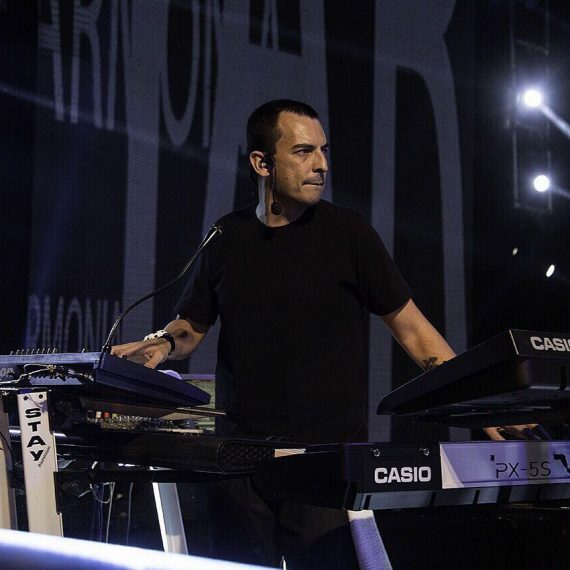 During the time of the road, Carlinhos has had the opportunity to play in major fairs and national festivals, having shared the same stage several times with great names in the Brazilian musical scene, always seeking to make friends with musicians and technical staff, thus exchanging experiences and knowledge. The musician plays in major festivals such as: Summer Festival of Salvador, Fest Summer Paraíba, Summer Festival Brasília, Fortal, Carnatal, Oktoberfest, Vila Mix, Forró Cajú, São João de Caruaru, São João da Capital, São João de Campina Grande, Rodeio de Barretos, Vip Girl, White Girl, Safadão Arena, ExpoCrato, Salvador Carnival, Fifa Fan Fest and etc. He has recorded several national programs like Faustão, Música Boa, Raul Gil, Domingo da gente, Domingo Legal, Sabrina Program, Fátima Bernardes and etc. With 20 years of his career and at the age of 30, Carlinhos is married to singer Marjory Yasmin, has two children and enjoys a great time in his career, being recognized for his work and his ideas always focused on raising the category of using their channels for these purposes. His personal instagram (@ carlinhosfofao) that Carlinhos uses to do his digital marketing has 13,000 followers and his personal Facebook about 5 thousand friends. Praise the name of Jesus! To Him and to Him alone all honor and glory! 38 years old, Married, born in Vitória / ES. Keyboardist, percussionist and music producer. Musician since he was 17 years old. For 19 years he has been part of the Black Heritage Band, where he has recorded 4 CDs. The first CD, entitled “Black Heritage: From a Warrior People”, was widely accepted by the public, reaching a mark of six (6) thousand copies and yielded the production of the music video “A Nova”, which was shown on local channels and MTV. The second work, “You Are the Size of Your Dream”, 2004, was recorded live and shows all the energy and the strong pulse of the band. Highlight for the songs Only the Truth, Star of Peace and a re-reading of Led Zeppelin (Dyer Maker). In 2007, “Random”, was the first months of release among the best-seller list according to the prestigious Laser Discs Musical Instruments store. In 2016 with the Band Black inheritance we released the single “Miss Julie” participation of the singer Léo Maio, son of Tim Maia. The last work with the Black Heritage Band was this year with the single “Segue o Baile”, which had the special participation of the singer Da Ghama, founder of Cidade Negra. With the Black Heritage Band, I toured most of the municipalities of Espírito Santo, participated in major festivals such as the “Festival of Alegre” and the “D-Day”. I made my way to Belo Horizonte, Bahia and São Paulo, where I lived for two (2) years. There I participated in many festivals, such as the Reggae Circuit, I did concerts in the capital, São Paulo and in the interior, having the great opportunity to divide the stage with national bands such as Natiruts, Planta & Raiz, Tribo de Jah, O Rappa, among others. I participated in the Festival Roots Reggae Joaca, in the beach of Joaquina, in Florianópolis, winning the festival with the song Estrela da Paz. In 2010 I participated in the 3rd edition of the Festival L’Espirito Poitou, in the town of Celles Sur Belle, France. This Festival aims at the cultural exchange between Brazil and France bringing together music, theater and dance. I also participated in countless projects with artists and bands known as the “Bands,” “Circulação Cultural”, “Canto Solidário”. These projects are an important instrument for the formation of audiences, for the popularization of the Capixaba culture, for contributing to the strengthening of the artistic labor market, and for the promotion of cultural exchange; besides being responsible for the movement of the cultural devices of the several municipalities of the state of Espírito Santo. Currently, in addition to the band Black Heritage, I am in the market with singer Da Ghama, touring Rio de Janeiro. 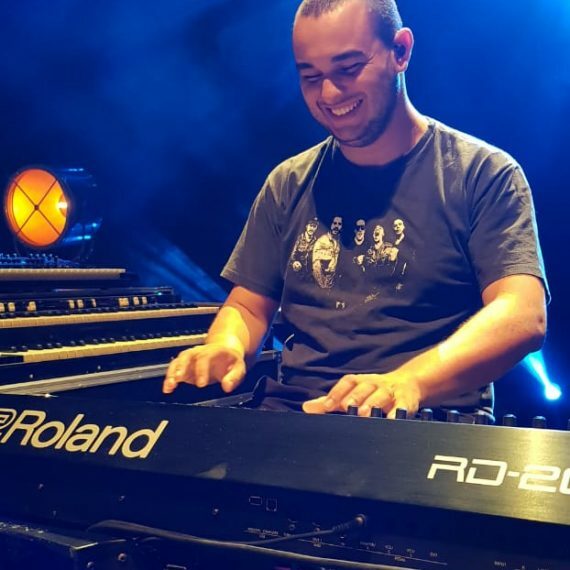 Born in Vitória / ES, he began playing the keyboard at the age of 8, influenced by his father João Roberto Vandaluz (keyboardist / pianist of Jorge Ben Jor), who has been a pianist since he was 18 years old. He currently works at ES as a musician, teacher, music producer and arranger. He has made several appearances with gospel singers among them: Sérgio Saas, Adhemar de Campos, Rafael Bitencurt (Ministry Apasír), Luiz Arcanjo (Bringing the Ark), Wilian Nascimento, André Valadão, Adelso Freire, Joe Vasconcelos and from 2012 to the today with the singer Bruna Olly and Adelso Freire. Graduated in Music Degree and Popular Piano by the Faculty of Music of the ES, where he is part of the teaching staff (Piano Popular and Harmony I and II). 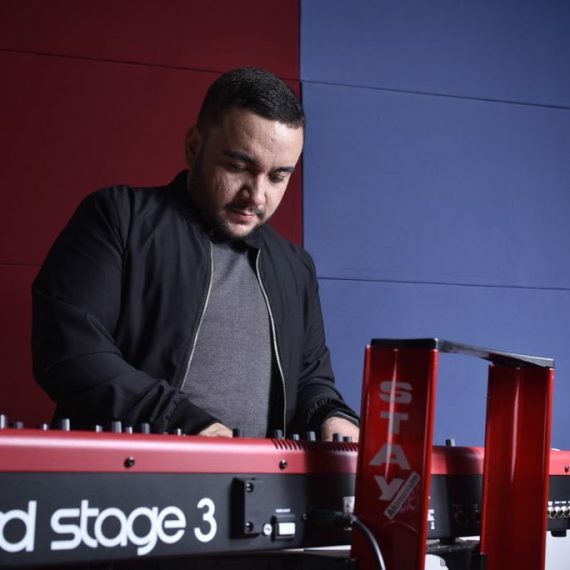 He has been awarded by the renowned “Berklee College of Music” for a summer workshop, winning a scholarship for “Arrangement Technique” in 2014, and has 2 courses by Berklee, taught here in Brazil (Faculdade Souza Lima – SP ). Already studied with Gilson Peranzzetta RJ, and currently with Edson Santanna – SP. Thais Andrade began the musical career very early. At the age of 14, he was a professional keyboardist, accompanying artists of the most varied styles, one of his initial works being in a band of graduations, where he worked for two years. He became an accordionist after winning the instrument of a backwoods duo with whom he also used to work. And learning has always accompanied this talented young woman. Among his many professional commitments, he has never ceased to attend courses in prestigious institutions such as the Souza Lima Conservatory, the Free Music University and the Alcântara Machado Arts Faculty. He worked for 10 years with the band of a house specialized in country and sertanejo, the “Villa Country”, where he accompanied several artists of the middle sertanejo. In 2017 he was part of the “Sidney Sertanejo” picture of the Panic on TV program, and the videos can be found on the Youtube Panic channel. Currently continues to accompany artists, such as the singer Wanessa Camargo and conducting workshops, consultancies and recordings. 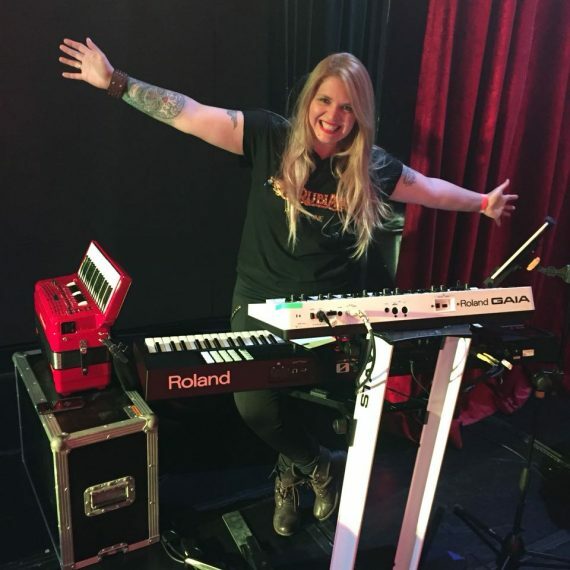 Endorser of Roland Brasil, Santo Angelo and Stay, Thais Andrade surprises for its modern look, its joviality and mainly for its quality and musical capacity. Born in the middle of the Carnival of 1980. Self taught, he began to learn “by ear” and watching … After a few years, he joined the Piano Workshop of UFBa (2001) and did an extension at the Modern Music Center (2010) BIRA (Ubiratan) Marques. Two locked colleges, many nights of sleep lost and old Fabinho Scooby Vaccarezza finds himself happy and nomadic running through Brazil and some other countries along with his friends / brothers, practicing the best sport in the world: “crowds lifting”! Idealizer of #tecladismo: Community of professionals formed exclusively for the exchange of constructive information aimed at learning and union, helping each other with their experiences in everything related to the Keys, in theory as well as in practice, in the instrument, in the area of ​​software and in the professional career. Professionally since 1999, he has always been a very active musician as sideman and freelancer within the musical market of Bahia / Northeast … He has accompanied bands and artists of different styles, ranging from A to Z (Arrocha to Zouk)! 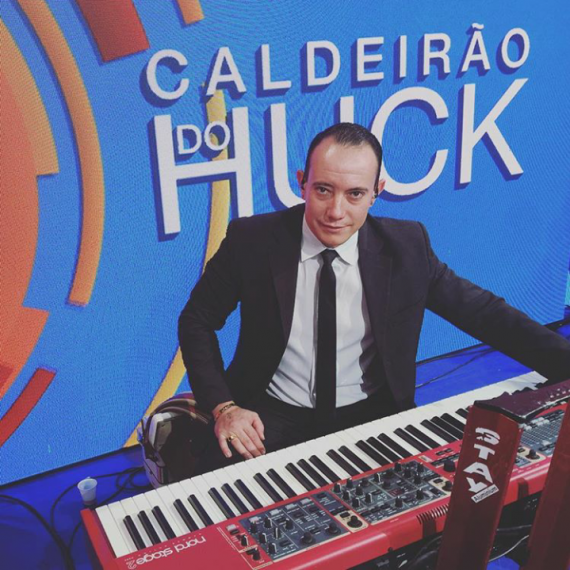 Jammil’s keyboardist and a Nights since 2011, he participates in programs of greater audience, such as Domingão do Faustão, Xuxa, BBB, Multishow, Huck’s Cauldron, Ana Maria Braga, Fátima Bernardes, among many others of Record, Band, SBT … Playing in practically all the Country and already having done Tour in the United States, Europe and Oceania. He recorded the DVD JAMMIL OF ALL THE BEACHES (2014/2015). The musician from São Paulo has more than 15 years as an instrumentalist, having accompanied renowned artists from the Brazilian and international music scene as: Ed Motta, Gavin James, Victor Brooks, Heidi Vogel, Cecilia Stalin, Maria Rita, Baby Brazil, Luciana Mello, Wilson Simoninha, Elba Ramalho, Filó Machado, Marcelo D2, Diogo Nogueira, Tony Garrido, Luiza Possi, Iza, Jorge Vercillo, Tony Gordon, among others. The virtuoso musician had his musical training built at the Conservatory of Dramatic and Musical Tatuí and Free University of Music of São Paulo. His main references are J.S Bach, Debusy, Egberto Gismonti, Hermeto Paschoal, Andrew Hill, Lennie Tristano, Keith Jarrett, Brad Mehldau, Herbie Hancock and Chick Corea. Limma has already performed in countries of South America and Central America in addition to participating in major festivals such as Paraty Jazz Festival and Rock in Rio in its first edition in the United States “Las Vegas”. In 2008, his work as an arranger won the “Latin Grammy Awards” in partnership with the gospel singer Soraya Moraes. Already his work was part of the collection “Committee Jazz Club” Vol.1, which brings together great names of new Brazilian music and was released at the prestigious JazzAhead seminar in Bremen, Germany and distributed internationally. As a composer, Michel Limma recorded his first work “Vento e Fogo”, mixing elements of Brazilian music with contemporary jazz. In 2017, at the invitation of the great musician and singer Ed Motta, Michel Limma took over the musical direction of his newest project “Ed Motta Dance of Flashback “and consequently of previous works like AOR, Poppet, Perpetual Gateways, in addition to participating in his new Album to be released in 2018 by Europe, Asia and the United States. Eric Bikales was born in Kansas City. At the age of 11, he played 10 concerts with the Kansas City Philharmonic as guest solo flutist. When he moved to Los Angeles, he played solo jazz piano in an upscale Beverly Hills restaurant for a couple years while writing for TV and touring with various artists. He was signed to a record deal from 1985-90 and his CD “Tranquility” and “Energy” are still being played throughout the world. He has a new CD out now called “Follow Your Heart”. This CD is solo piano and reflects his most personal writing and playing yet. Eric has written music for popular TV shows, such as: Scrubs, Ally McBeal, Buffy the Vampire Slayer, Boston Public, and has played live with world renowned artists like Dolly Parton, Cher, Olivia Newton-John, Stevie Wonder to name a few. He currently lives in Nashville, TN and is an online professor at the Academy of Art University in San Francisco teaching music theory, arranging and ear training. Daniel Weston Da Silveira, was born in Belo Horizonte-MG on May 13, At the age of five, he had mastered all the instruments, but at the age of 10 he was enchanted by the piano, being his main instrument today.Musico self-taught and multi-instrumentalist, already in his adolescence had some influences like Jay Oliver, Robbie Buchanan, Take 6, chick Korea , Dave Weckl, Luis Miguel, Ivan Lins, Toninho Horta, João Alexandre, Cesar Camargo Mariano, Elis Regina and so on … There is a parallel instrumental work with Beethoven Junior and Binho Carvalho called “Trifase” which they released in February Of 2014 the second DVD of the trio “Trifase Deluxe”. Daniel Silveira has the honor to accompany the guitarist Toninho Horta in some projects and festivals of the instrumental music by Brazil and some other musicians consagrados.produced 2 tracks for the last dvd of the singer gospel Thalles Roberto, was part of the band of the singer Eduardo Costa during 5 Years as Music Director and Conductor, thus producing some tracks from the albums “Tudo Aver” and “Pecado De Amor” and the DVD “De Pele Alma e Coração” recorded in 2010, performing 5 tours with the singer in the United States and 1 in Europe. Then was Tecladista and Musical Director of the singer Gusttavo Lima for 2 ½ years which produced the last two career CDs of the singer Spanish and the last one in 2014 “From the Other Side of the Currency” recorded 2 clips of the singer’s greatest hits “Diz For me “I was faithful” performing 3 tours in the United States “including the largest Brazilian event held in the US and Canada the” Brazilian Day “and 1 in Europe. Daniel Silveira is the endorse of” Nord together with Wed In 2016 he released his first solo album, whose title is Daniel Silveira “Bem Brasileiro” with some very special guest appearances. Some famous musicians and singers of Brazilian music such as Toninho Horta, Ivan Lins , Daniel Thérèse is Producer of Dupla Matheus and Kauan, produced the DVD on the beach 1 (O Nosso Santo Bateu) (Decide there) and Matheus and Kauan in Praia 2, Thalles Roberto, Leonardo Amuedo, Ebinho Cardoso, Trifase and others! (Te Assumi Pro Brasil) (Eighth Dose). My name is Paulo Henrique, better known as Pexe. I have been a professional musician since I was 15 years old, I have always worked with country music. I worked with Luan Santana for 9 years where I recorded three DVDs (“Live in Campo Grande”, “Live in Rio de Janeiro” and “O tempo é hoy”). All the experience I acquired in my 19 years of working in music today I put in my musical productions. Music producer, composer and arranger, André Calore is also multi-instrumentalist, walking between keyboard, guitar, bass and drums. He joined the music at age five, playing drums with his father, Miguel, in the church. At age eight, he had the few formal guitar lessons. With basic knowledge, the artist showed himself to be self-taught in the various instruments. Graduated in IT and Business Administration, his passion for music spoke louder and earned his full dedication. In his musical trajectory, André Calore worked as a vocalist or instrumentalist, with several prominent names in the gospel medium, such as Ron Kenoly, Coral Root, Adoração and Adoradores, Robson Nascimento, Samuel Mizrahy, Paulo Cesar Baruk, Thiago Grulha , Ipiranga Ministry, Ton Carfi, Soul Temple, Filipe Lancaster, among many others. He has also performed with renowned names in the secular market, such as Double You, Salgadinho, Leandro Lehart, Nicki French, and television broadcasters (Programa do Ratinho, Teleton, Programa Silvio Santos, RedeTV, Raul Gil Program). As a gospel artist, he released his first work in 2005. In 2013, he released the CD “SOM DE GRATITUDE”, produced in partnership with Ed Oliver. The album was attended by Ton Carfi, Paulo Cesar Baruk, Samuel Mizrahy and Hygor Junker. Calore, today is Musical Director at the Baptist Church of the People in São Paulo, is married to Yara and the father of the smiling and captivating Miguel. Musician Vocalist, now 30 years old, married, with two children. I started my musical life five years with instrument contact, and at the age of 13 with my first Show and my first cache, A New Year’s Eve Ball in 1997 as shown in the picture attached to my material, detail I took a shirt and pants from my father to be able to do the show. Since then I started to play in several bands all of them having to go to the door of the house to ask permission from my father to be able to participate, because he was very young, my father accompanied me in all the concerts and I confess that some he would not let me participate . I participate in my Catholic community as an audio and video technician and also a musical director. Endorse and artist of Stay Trademarks, Nord Keyboards, Mogami Cables and Shure Brasil. 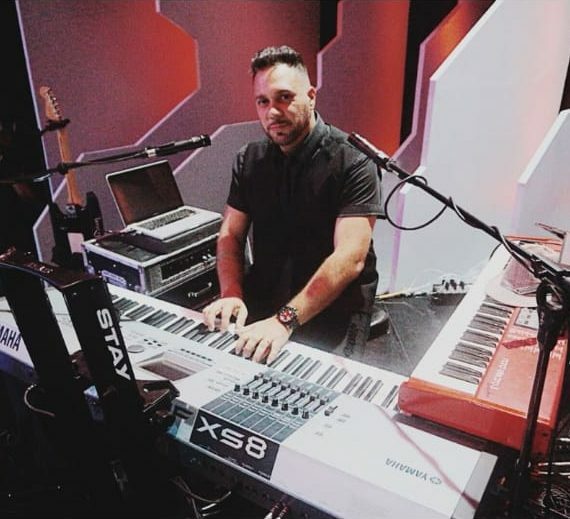 Keyboardist, DJ and producer Rafael Sanit began his musical career at the age of 10 through his father – Domingos Santana – saxophonist and music teacher. His first instrument was drums playing until he was 12 years old. At the suggestion of his father, he began to study keyboard. 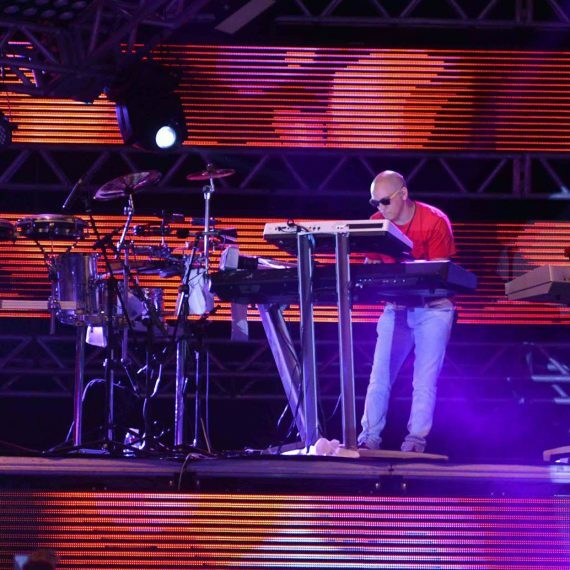 In 1997, as a keyboard player, he began playing in bars in the city of Belém do Pará. In his repertoire diverse styles, such as: Calypso (which at that time was not known nationally and in Belém was called Brega), Carimbó , MPB, Baião, Xote, Reggae, Zook … Literally from A to Z, being part of several bands from Pará, besides accompanying several regional singers. In 2004 he joined the ranks of the Brazilian Air Force staying for 4 years away from the stages and shows. 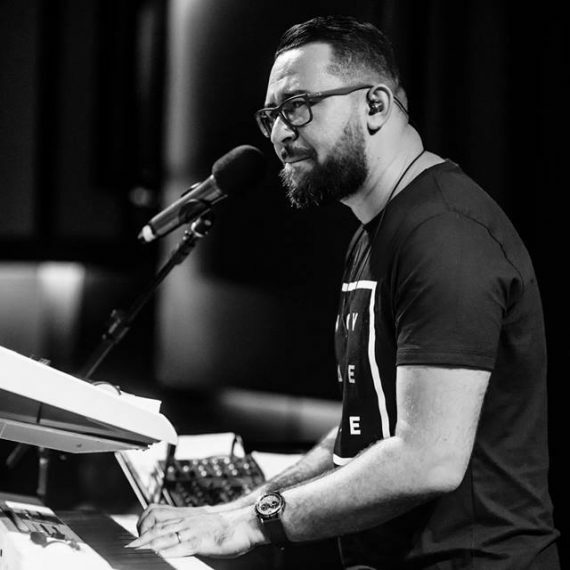 Four years later, as a civilian, he returned to his musical works, this time in Churches and also a keyboardist and producer of the Christian band Paraense in Miracle, where he produced the CD “Life in Miracle” and accompanied several Christian singers such as Chris Duran, Pastor Lucas, Wladia Leyliane, Roberta di Angellis, among others. In 2015 he also joined as a DJ in the Gospel segment, constantly updating himself in electronic music. 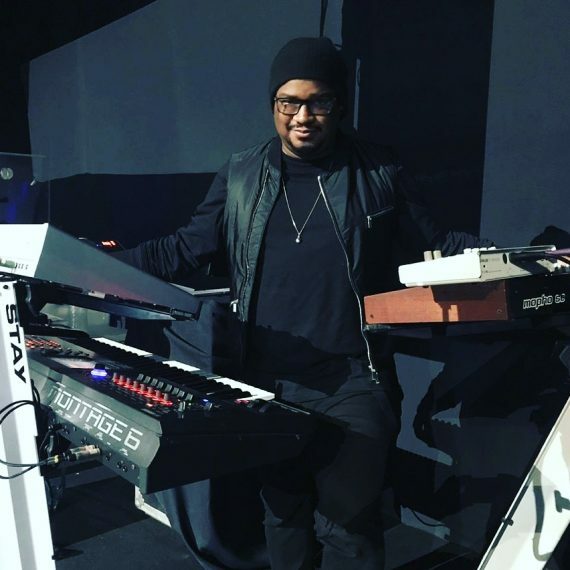 He is currently keyboardist, DJ and producer in his Christian band of alternative rock Adoração Musical, work focused on electronic music. He works as a producer at the Rafael Sanit and Top 3 studios in Belém and develops an instrumental work called Rafael Sanit and Amigos playing Jazz, Funk and Brazilian music. 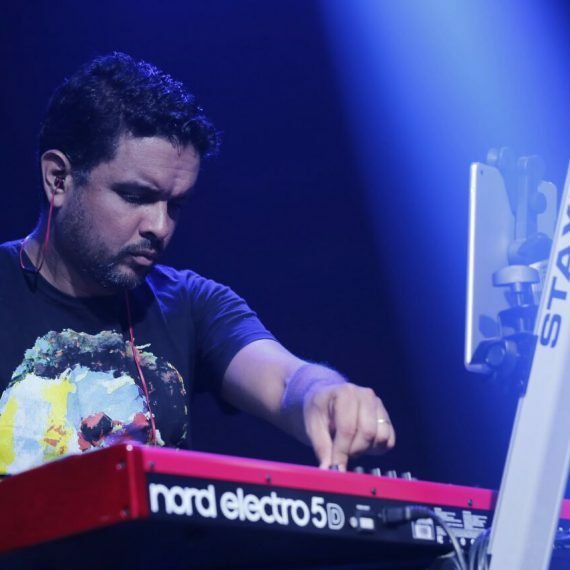 Rafael Sanit is the endorsee of the brands Roland, Stay Music, Mac Cabos and Jones Jeans, a columnist in Keyboard Brasil magazine, besides working as Roland product demonstrator where he conducts training for shop consultants through workshops. 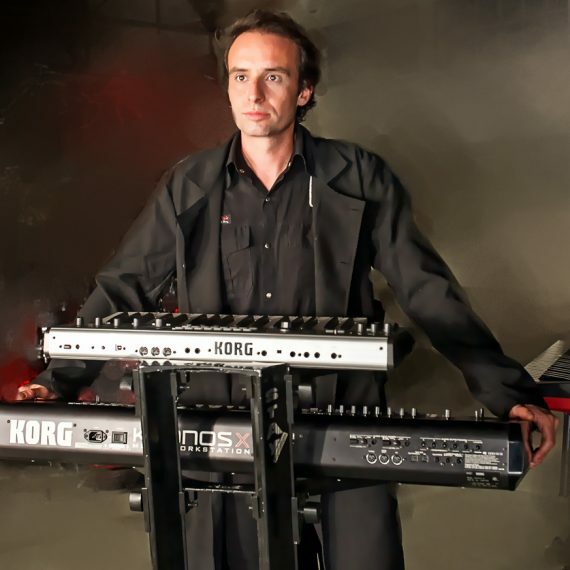 Professional keyboardist for 22 years, counts more than 1,800 presentations with about 100 bands. He has participated in several studio projects, as a producer and arranger. 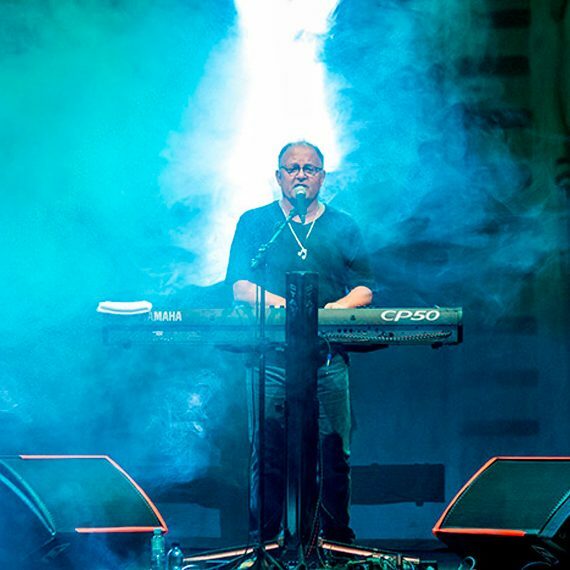 Self-taught, he created unique technique and style, recognized year after year by the main rock-oriented media outlets, in which he has been voted the best national keyboardist of the genre since 2006, according to the great majority of public opinion polls. He accompanied the band Angra for 6 years, doing 3 tours in more than 25 countries and important Brazilian television programs such as Altas Horas, Programa do Jô, etc. In 2006, he released the instrumental work Freakeys, combining elements of progressive rock and heavy metal. For 15 years she has been a member of the band Hangar, which releases her seventh album in the first half of 2016. Isaías José Nascimento Dias, Paraibano, a native of Campina Grande, in 1988 joined the music at the age of seven. He began to take his own steps alone, thus leaving everyone struck by his advance in a short time. Later, at the age of 10, he studied no music conservatory at the DART (Department of Arts, Federal University of Paraíba), where he studied for three years with the pianist Maurílio Rafael, and also studied transverse flute for a year, That “As keys” were indeed his passion. At the age of fourteen he began working on music production and arrangements, signing a multi-disc music production, mostly gospel music in the city’s studios, for his versatility, he stood out in that medium, recorded and accompanied in shows And great names in Christian music such as: Comunidade da Graça, Carlinhos Félix, Rhema Band, Éric Libra, Adriana Spínola among others, also act in several bands and solo accompanists among them the Paraiban Flávio José and the guitarist Zé Filho, which It allowed him to live in several cities, to know and to make a mixture of musical cultures. In 2007 already in Fortaleza, city where he currently lives, he resumed his studies in music with the bass player and music teacher Miqueias dos Santos. Update as a keyboard player and musical director of Band Som e Louvor, Gospel band that today is one of the largest non-Country follow-up agendas, your videos on You Tube somatizam about 9,000,000 million hits, its social networks total more than 750,000 thousand People, are releasing their fourth DVD by the record company Som Livre. He is also a music teacher at the school in the city where he lives and works as a music producer in his studio in the city and abroad, teaches classes and workshops on musical production, direction of arrangements and music theory for beginners. In 2010, he released his first instrumental CD entitled “De paraíba para Ceará”. He played in several music festivals such as the instrumental music festival of Banco do Nordeste, where he won the first place. Throughout more than 25 years of music, André Lopes has performed with some important names in the music scene such as Adhemar de Campos, Angelo Torres, Akademik Orkester (Örebro / Sweden), Alda Célia, Aline Barros, Amanda Ekberg Jazz Quartet (Sweden) , Amanda Rodrigues, André Neiva, Angelo Torres, Asaph Borba, Baby do Brasil, Cassiane, Coral New Way, Elaine Araújo, Eyshila, Kirk Whalum (USA), Kleber Lucas, Ilessi, Livingston Farias, Louise Högberg Jazz Quartet (Örebro / Sweden ), Marcos Natto, Maurício Paes, Marquinhos Gomes, Marquinhos Menezes & Lilian, New Jerusalem Ministry, Nadia Santolli, Nelson Faria and Thiago Abravanel among others. From August 2014 to June 2015, André participated in the Academic Mobility program between the Federal University of the State of Rio de Janeiro (UNIRIO) and Örebro Universitet in Sweden. Among several projects, André took classes in Improvisation and Joint Practice with Nelson Faria, participated in the Tribute to Jobim concert with Akademik Orkester under the conduction of conductor Katarina Andreasson (arrangements of Nelson Faria), he joined the “Louise Högberg Jazz Quartet” and The group “O Rebu”, formed by Brazilian musicians. Currently André has been dedicated to productions, arrangements, recordings, classes and workshops, where he approaches themes such as harmony, perception, improvisation and joint practice. In addition, André also acts as an accompanying musician and is currently a keyboard player for singer Cassiane and Pr. Adhemar de Campos. Samuel Murad, from São Paulo, 29, a musician from the age of 6, with a degree in composition from USP. He has participated in works with several artists and musicians such as Paulo César Baruk, Adhemar de Campos, Thiago Grulha, Rachel Novaes, Ronaldo Bezerra, Jorge Vercilo among others. His first EP, titled Novo Amanhã, with songs interpreted by him on piano and vocals, is scheduled to be released in 2017. At the same time, his instrumental CD is in production, with emphasis on the language of contemporary jazz and Brazilian music. In addition to these works, he also works as a music educator in the socio-cultural project in the Cultural Factories, east of SP. 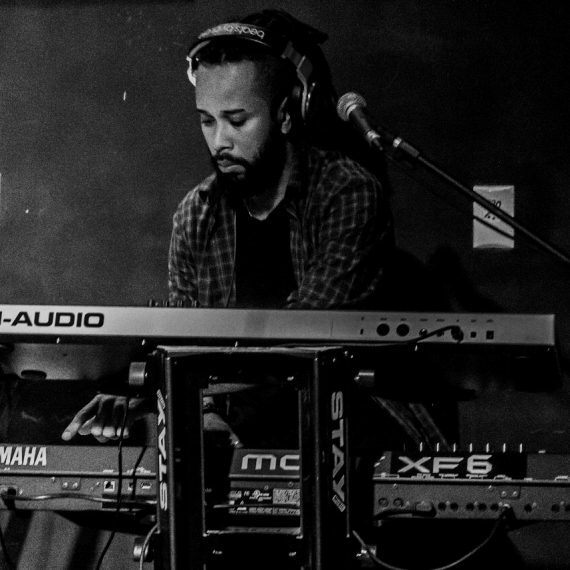 Durval Oliveira is a keyboard player, arranger and music producer, born in the city of Salvador – Bahia. He met the music and began to love her still very young through her grandmother Jandira Borges da Cunha (pianist and concert player) listening to her play in the living room of her house for the whole family. He studied classical piano and entered the professional market around the years of 95/96 playing with some bands of less expression until in 98 was invited by the company Near the Selva artistic productions, where next to the conductor, keyboardist and producer Yacoce Simões, was Responsible for the studio, performing arrangements and recordings of bands that were part of this producer such as Banda Eva, Araketu, Jammil, Band Pinel, Parangolé, among others. During this time, he also attended the medical schools for 3 years and dentistry for 3 semesters, at different periods of course, but due to time / work / travel and travel costs, he did not give continuity. He also worked on the CD projects of Asa de Águia, Olodum and Ricardo Chaves. In 2002 he was invited by the singer Xanddy of Harmonia do Samba to be responsible for his studio and where later, at the end of 2004 he would also be invited to join the band as a keyboard player. Since its entrance until today there have been 4 DVDs, 9 CDs, TV shows and for an average of 120 shows a year in almost 12 years of Harmonia do Samba. Today Durval Oliveira is a partner and endorsement of the Casio keyboards and the Stay stands. The pianist, keyboard player, arranger and music producer Juliano Teruki, started at the age of 12. He began his studies at the Foundation of the Arts in São Caetano do Sul, being part of the Fundarte Orchestra, where he had the first contact with the piano, studied in the courses of harmony and improvisation with Maestro and Saxophonist Roberto Sion, piano erudite with Professor Donata M. Lange, FAAM (Faculdade Alcântara Machado), completing his piano studies with Alexandre Zamith. Thiago Menê began in the music at the age of 6 studying piano with teachers of the city where he was born. At age 10 he was part of a Philharmonic Band of the school where he studied trumpet playing for 5 years. Over the years he has participated in dance and pop rock bands with friends playing drums and percussion and finally, in 2005 he returned to keyboards, an instrument that never left and finally gave him recognition in the middle. Just over a year ago, he was invited to participate in the recordings of MDB (Música Divertida Brasileira) from the band Pedra Letícia in partnership with singer and comedian Rafael Cortez. 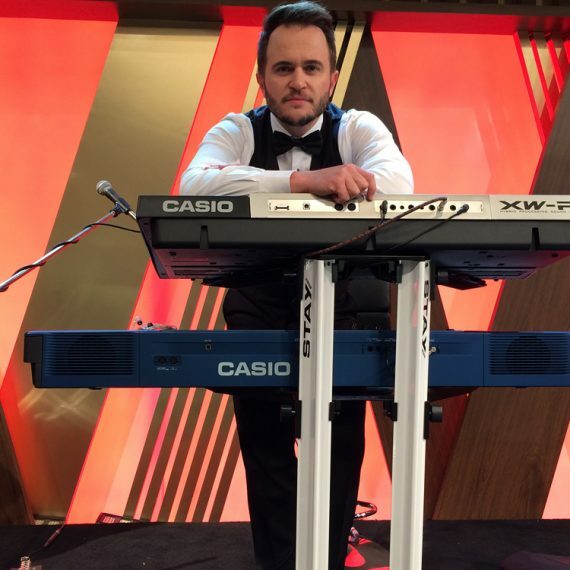 This work was the bridge for Thiago to enter the “Porchat Program” presented by Fábio Porchat, in Rede Record of television as keyboard player of Pedra Letícia. 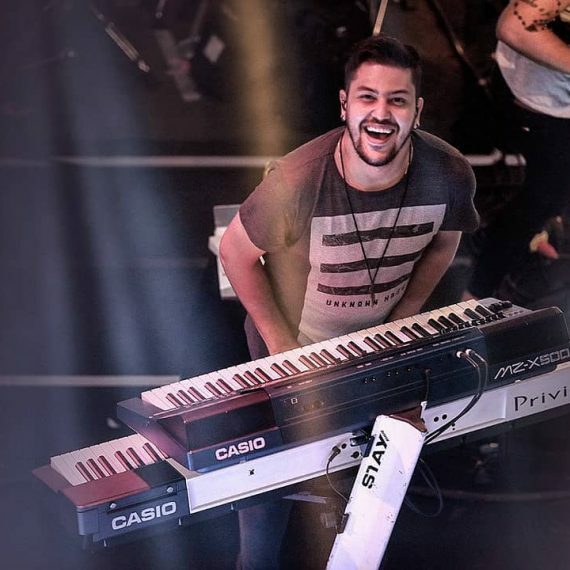 Thiago Menê is also a keyboardist for the band Popmind, which performs 180 shows a year in more than 100 cities in several states. The band is from the city of Espírito Santo do Pinhal, inland of SP and has more than fifteen years of road, two CDs recorded. With Popmind, Menê shared the stage with New Clothes, Initial Capital, Hudson Cadorini (from Edson and Hudson), Marcelo Nova, Leticia Stone, CPM22, Digão (Raimundos) and Titãs. 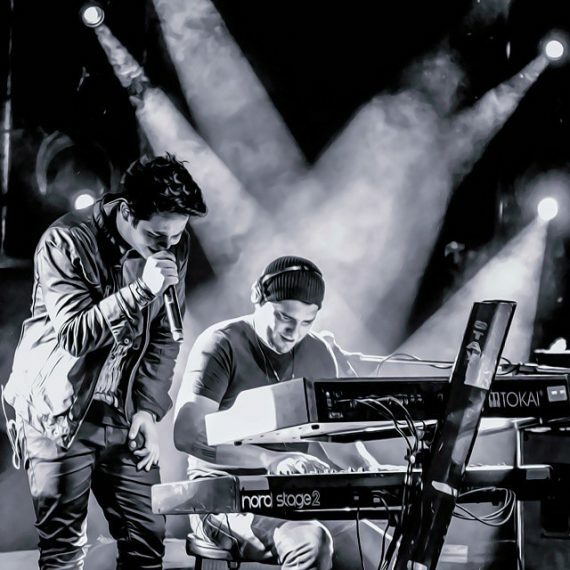 The Pianist and Keyboardist Cassio Coutinho was born on 05/03/1991, in the municipality of Itaboraí – RJ. Always very involved with music, he began his studies at age nine playing drums, but at ten he chose the piano as his main instrument. Among his professors are: Wagner Araújo, Rafael Vernet and Lúcia Barrenechea. He studied Harmony, Musical Perception and Cigam Arrangement (Ian Guest Guest Center for Musical Improvement) with Ian Guest and Cláudio Bergamini himself. He participates annually in the Licthfield Jazz Camp – United States, with teachers like Helen Sung, Paul Bollenback, Russ Johnson, Jeff Lederer, Claudio Roditi, George Schuller, Mario Pavone and Dave Ballou. He also holds a Bachelor’s Degree in Music from UNIRIO (Federal University of the State of Rio de Janeiro). Cassio Coutinho has participated in concerts and recordings with several artists, among them: Tiago Abravanel, Mariana Valadão, Taryn Szpilman, Kleber Lucas, Gerson Borges, Claudio Zolli, Marcio O’socio, Késia Estácio, Adhemar de Campos, Maicon Sulivan, Rodrigo Lampreia , Nise Palhares, Cláudio Claro, Ney Conceição, Claudio Infante, Claudio Roditi and Mayla Hadalla. He has also worked in musicals, where he highlights the great success TIM MAIA VALE TUDO O MUSICAL, by Nelson Motta. With Tiago Abravanel, in his show Baile do Abrava, he played with several singers like: Thiaguinho, Luíza Possi, Gabriel the Thinker, Di Ferrero, Wanessa Camargo, Ivete Sangalo, Péricles, Tony Tornado, Preta Gil, Simoninha, Karol Conka, Sandra de Sá, among others. Cassio Coutinho gives workshops, master classes and shows, presenting his compositions and re-readings, all over the country and teaches Brazilian music annually in the United States (LJC). Alexsander do Amaral Guadalupe, better known as Alex Amaral, was born in the South of Brazil where he began to play professionally at the age of 13. 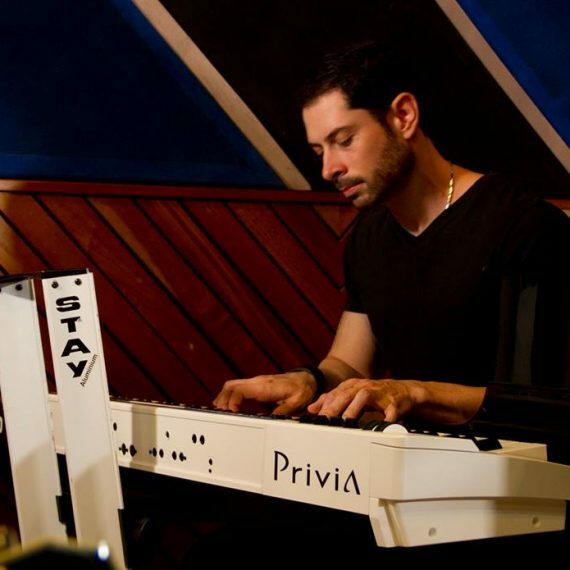 As a pianist / keyboardist, arranger, composer and producer and musical director, he worked on several phonographic projects and as keyboardist for several artists. 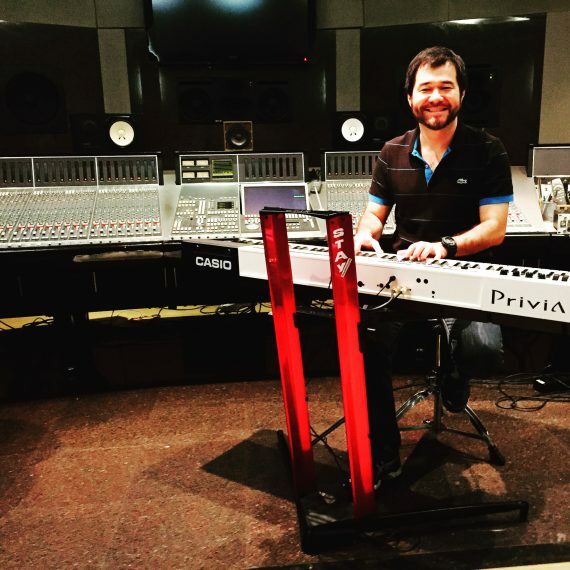 He currently works as a Music Producer at Nacena Studios in São Paulo, at SBT as a keyboardist for the Silvio Santos Program band, at the Tribute to the King of Pop by Rodrigo Teaser (keyboards and programming) and at Divas O Musical (as one of the directors, Keyboards).